The Liverpool City Region Combined Authority has announced that St Helens will be its first Borough of Culture, as part of its new 1% for Culture programme. The honour coincides with St Helens celebrating its 150 anniversary this year. Under the new 1% for Culture Programme, Liverpool City Region has become the first in the country to commit to spending the equivalent of 1% of its annual £30 million devolution funding from government to support cultural activities. £200k to support an annual Borough of Culture programme, with St Helens named as the first Borough of Culture. The title will be held on a rotating basis by all of the Combined Authority’s constituent local authorities. £30k allocated for the Liverpool City Region Cultural Awards. Additional funding will be acquired for the awards through developing sponsorship opportunities. “It is particularly fitting that St Helens should become our first Borough of Culture this year, as they celebrate their 150 anniversary. I know they have a very exciting programme of cultural events planned for the year ahead. “This is brilliant news and particularly appropriate that St Helens should be the first Borough of Culture in our 150th year. 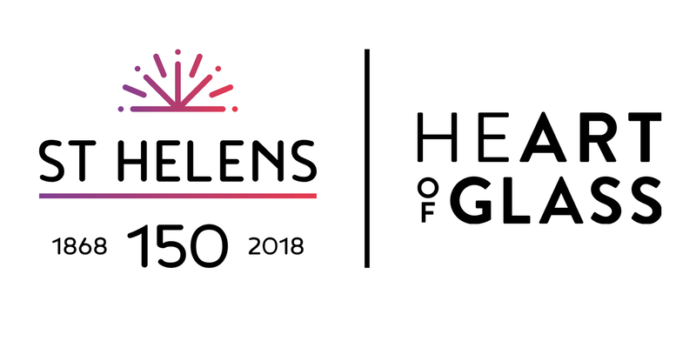 “St Helens has a growing reputation as a centre of excellence for arts and culture with both the Heart of Glass and St Helens Libraries Cultural Hubs programmes in the Art Council Englands National Portfolio. “Culture is an essential driver in stimulating creative entrepreneurialism and is also instrumental in generating substantial growth for local, regional and national economies. “I am very proud that as a Combined Authority we have adopted a really ambitious strategy for growing the culture and creative sector across the Liverpool City Region. The 1% for Culture programme is one strand of the Liverpool City Region Combined Authority’s Culture and Creativity Strategy. Expanding and promoting the existing cultural and creative offer as a core part of a growing visitor economy alongside more targeted creative social intervention. Developing a supply chain for talent and harnessing the region’s strengths as a ‘pool of talent’ with pathways into the creative sectors. Sustaining and enhancing economic growth through culture and creativity; recognising and investing in culture and creativity as major drivers in the visitor economy and creative industries, and as catalysts to achieve positive outcomes in wellbeing, health, education, cohesion and the future world of work.